This is a 4-pack, you get 4 of these with every order. 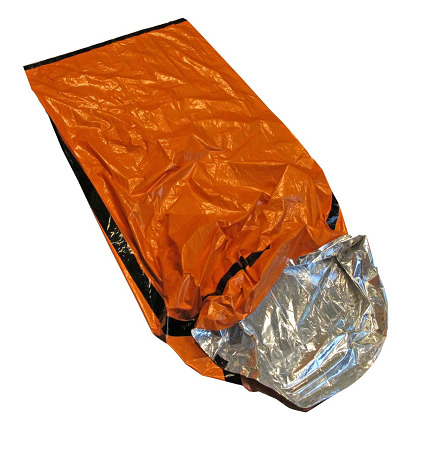 This sleeping bag is made from reflective aluminized PE material that assists in retaining body heat by reflecting it back onto the body. The sleeping bag is sized at 7ft x 3ft to accommodate adults and children. When folded, this Emergency Sleeping Bag fits into the included compact 6" x 3 diameter carry bag with draw string. 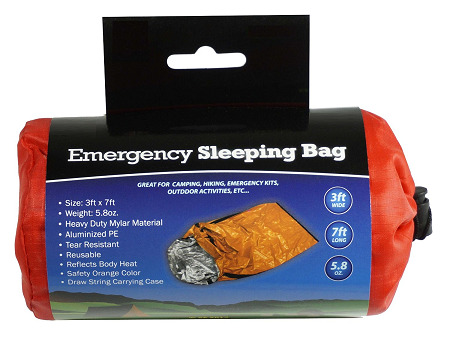 The Emergency Sleeping Bag is designed for use when camping, hiking, fits into emergency kits and can also be used in the car, Recreational Vehicle (RV), or at home during emergencies. The Emergency Sleeping Bag can also be used in combination with conventional sleeping bags or blankets to provide a water proof exterior skin when used outdoors during rain.